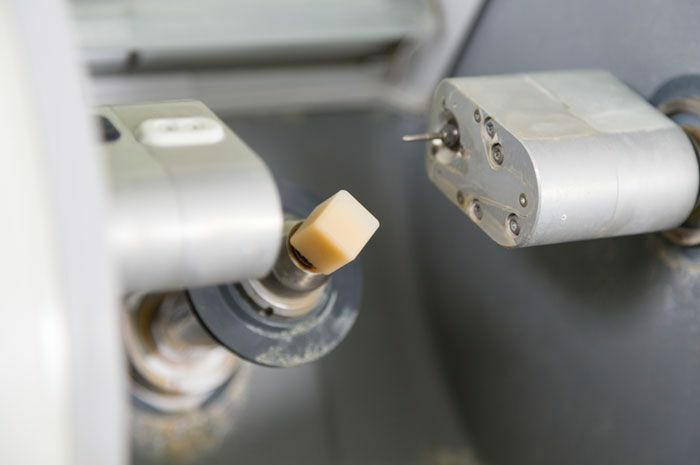 CEREC 3D uses CAD/CAM (Computer Aided Design/Computer Aided Manufacturing) technology, incorporating a camera, a computer, and milling machine in one instrument. First, your damaged tooth is prepared with a thin layer of reflective powder applied directly on the tooth's surface. With a special camera, the dentist takes an optical impression of the damaged tooth, which is transferred to the computer and displayed on a color screen.